William Young's father was Henry Young, a grocer, and his mother was Hephzibah Jeal. William was his parents' eldest son and he was brought up by his parents as a Baptist. He attended the City of London School where the headmaster was particularly fascinated by mathematics. This headmaster was Edwin A Abbott, who was the author of the famous popular mathematical work Flatland. He immediately saw the potential that Young had for mathematics and he encouraged him in that direction. In 1881 Young entered Peterhouse, Cambridge, to begin his undergraduate studies of mathematics. At Cambridge Young was an outstanding student showing far more mathematical ability than any of the other students in his year. However to achieve the position of First Wrangler (the top position in the list of First Class graduates) in the Mathematical Tripos required enormous dedication and training in the type of examination questions set in the Tripos. It would be fair to say that the First Wrangler was the most skilled at answering Tripos questions rather than the best mathematician and many of the great mathematicians who attended Cambridge failed to gain this distinction. Young was one such student for he made a very conscious decision that becoming First Wrangler was less important to him than having varied interests, both academic and sporting, at university. He was fourth wrangler in 1884. While at Cambridge he put aside the Baptist religion of his family and was baptised into the Church of England. Although many famous mathematicians who attended Cambridge failed to become First Wrangler, many of those who failed did become Smith's Prizemen. However Young did not even submit an essay for this prize but submitted an essay for a theology prize instead. He won the theology prize and he decided to remain at Cambridge earning money by privately coaching students for the mathematical tripos. 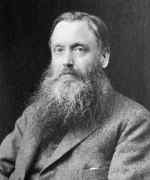 He did not undertake any mathematical research although he was a Fellow of Peterhouse between 1886 and 1892. One of the students Young tutored was Grace Emily Chisholm, who studied mathematics at Girton College. She then went to Göttingen where she was supervised for her doctorate by Klein, returning in 1885 after the award of the doctorate. It is extremely unlikely that Young would have ever become interested in research had it not been that he married Grace Chisholm (who, of course, then became Grace Chisholm Young) in 1896, and that Klein visited Cambridge to receive an honorary degree in 1897. ... [William] proposed, and I eagerly agreed, to throw up lucre, go abroad, and devote ourselves to research. Together the Youngs, who formed a mathematical married partnership of real significance, left Cambridge and went to Göttingen. After a few months they went to Italy, together with the first of their five children (two sons and three daughters), where they lived for over a year. In September of 1899 they returned to Göttingen which was then home for them until 1908 when they moved to Geneva. However Young returned to Cambridge during term time where he both taught and examined. In fact he was at different times an examiner to the Central Welsh Board (1902 to 1905), the University of London, and the University of Wales, in addition to his role as examiner at Cambridge. In 1913 he accepted two part-time chairs, one being the Hardinge Professorship of Pure Mathematics in Calcutta University which he held from 1913 to 1917, the other being the Professorship of Philosophy and the History of Mathematics at the University of Liverpool which he held from 1913 to 1919. He was the first to hold the Hardinge Professorship. He did not meet the recognition he deserved. This was due in part to his late start, and in part to a certain conservative hostility to the modern theory of real functions - a theory which few Englishmen in the early years of this century understood. Even when his profundity and originality were better appreciated, he was passed over in elections to chairs in favour of men who might be expected to be less exacting colleagues. Perhaps his most important contribution was to the calculus of several variables. He set out this theory beautifully in his treatise The fundamental theorems of the differential calculus (1910). All advanced calculus books now use his approach to functions of several complex variables. This 1910 book was one of three which Young wrote. The other two were written jointly with his wife: The first book of geometry (1905) was an elementary work clearly written by the Youngs having the teaching of mathematics to their own children in their minds, and The theory of sets of points (1906). Young was widely travelled, visiting universities in Europe, America, Asia, and Africa. In 1936-37 he made a major tour of South America, but with the outbreak of World War II in 1939 Young found himself in the wrong place at the wrong time. He was trapped in Lausanne when France fell in 1940. He was forced to spend the last two years of his life there very unhappy at being separated from his family. He received many honours for his mathematical achievements despite his lack of success in obtaining prestigious chairs. He was elected a Fellow of the Royal Society on 2 May 1907, receiving the Sylvester medal from that Society in 1928. He was president of the London Mathematical Society from 1922 to 1924, having been awarded the Society's De Morgan Medal in 1917, and president of the International Mathematical Union from 1929 to 1936. He received honorary degrees from the universities of Calcutta, Geneva, and Strasbourg. The immediate and abiding impression which Young gave was one of restless vitality; it was shown in his gait, his gestures, and his words. His appearance was striking; in early married life he grew a beard, red in contrast with his dark hair, and he wore it very long in later years. Many stories were current about him, all turning on his energy, mental and physical.